The winners have been announced! Below you can see the top 5 finalists! Well done to all those who participated and I thank you very much! We had over 30 entires and all of them were fantastic! This has been the best 150 subs ever! Congratulations to magazine2 for creating an amazing Mr. Bean character! Why he won: Use of pixels outside the template, adding the inseparable 'teddy' to his character. Good use of shading too, really defining Mr. Bean's character. 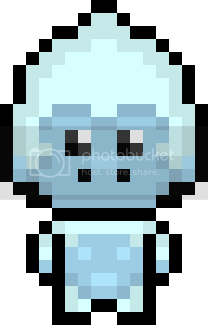 Well done derpy_turtle for creating a very unique Chibi Yeti! Why he won: This entry has a very nice design to it, the colours go well, and he expanded his template to make the head higher. Give a hand for the well known MissMarifire for her Whiterun ruler, Jarl Balgruuf! Why she won: She did not win because she is well known on PMC, but for her amazing use of shading and design. She has clearly captured his features in a funky, pixel style form. Well, I didn't say this in the outline of the competition, but I have given trophy's for 4th and 5th place. Apart form that, you don't recive any prizes (sorry ) but it was mainly to show who came after them. Anyway, here they are! 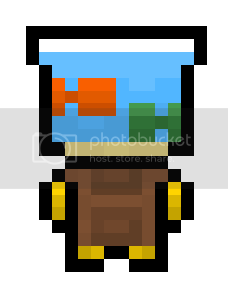 Congratulations to ThatsMyPickaxe for creating a very unique fishbowl on a desk! And finally well done to FaXaNadu790 for creating his own unique animal, Inazuma! 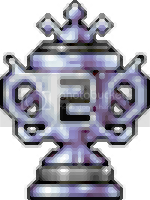 And of course, to all members who participated, here is your participation badge. I cannot thank everyone enough and how much this means to me that I got such a great response from this contest. Woooo!!! Today, I have just acquired 150 subscriptions! Thank you everyone! In that sense, I am holding a pixel art contest with some amazing prizes. Anyone can join, and would I be appreciative if you could. Anyway, here's the contest! 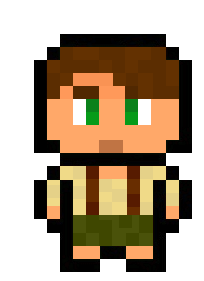 Option One:The default character template. You can also choose to have the pre-made hair shape if you like. Or you can use the smaller version and convert it larger after. 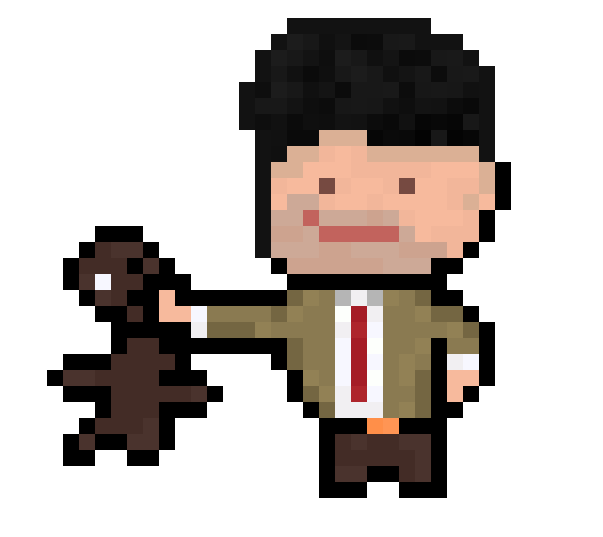 Option Two: Instead use a steve outline for your character. But why stop inside the lines? You are welcome to draw outside the template. The more creative the better it will be. 3rd Place-Will receive an exclusive 3rd place pixel trophy, An automatic pass to the elite members section of The Pixel Association, Subscription, A shout out on my profile page and a badge of participation. Rainbow_Creeper11 has made the non-sensical guy we all love. SPONGEBOB!!! Wayzo has done a very stylish Steve. MissMarifire-(WOOT) Has made an outstanding Jarl Balgruuf of Whiterun. Mr_Tryma has made a great Homer Simpson character. Doh! matthew9_ has created the great Batman. He has risen once more. Pikachudork11 has made the human sonic. Very original. the_soup (WOOT WOOT) has done a fantastic job (as per usual) and recreated one of her skins. Aquatta has also recreated one of her skins, portraying a 'cow' girl. Zitzabis has created a ver unique owl. Great Job! 107 Studios had made a half human half cyborg. Great job! Iatefailure2 has created a scene with the sunbathe tanned guy. Interesting! MastersofCraft has created a man in a suit. le stop has created your favourite character from dragon ball z, Goku. Skyier has done a great self portrait. Well done! VelociCraftor has recreated Bilbo Baggins from the largely popular J R R Tolkien books. Triggerfullify has done a very accurate Ronald Weasley from Harry Potter. Zealot has created the deadly mage assassin, Phoenix! magazine2 has created a very amazing Mr Bean, and he's holding his teddy! GoofyTom9 has created himself in a hoodie. Nice! Looking forward to seeing those entries! But get cracking, the contest closes 10th of February! Thanks guys! I will PM you sometime soon for your prizes. Well done Magazine! 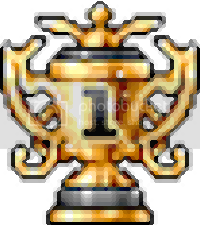 I really think you deserved to get first place for your pixel art ^u^ And congratulations to everyone else for doing awesomely! Thanks. I loved your Yeti. I don't get anything but still im so happy I came 5th thank you sparkles for a awesome contest! And congrats to the top 3 you and all other entries are amasing! Winner are announced!!! Check the front page to see who won! And thank you everyone for such great feedback! I really appreciate it! Wow can't believe I actually won! Awesome. Thank you so much for picking me. And also the other entries are amazing. Well done to everyone. And thank you to Sparkles for hosting this competition. Just notify me about those trophies...I'll try and get them done but I am seriously being killed with homework as well...so...yeah. Winners will be announced in the next 24 hours. Make sure you log on around this time tomorrow to find out the finalists! 4 and 5 will have prize? I might not win, but still I wanna see who does! It will say on the forum post that I now have gone into a stage of judging. It won't take too long, hopefully, but I'll be sure to announce the winners! Do you have to use the template? Ummm is this post still alive? Sparkles has been away for a bit. But your entry will not go unnoticed. Don't worry. Sounds cool! I might give it a try! Hey guys! All look wonderful. Mine is Mr Bean, Holding his bear. That is so accurate! Great job! Ahahah it looks awesome, I love watching Mr Bean! There you go! That's pretty good. Wow! Great job! I love it! XD Bilbo is quite chubby though. Wow there has been so many awesome pixel arts I have seen on this I wonder who will win? Best luck to all!